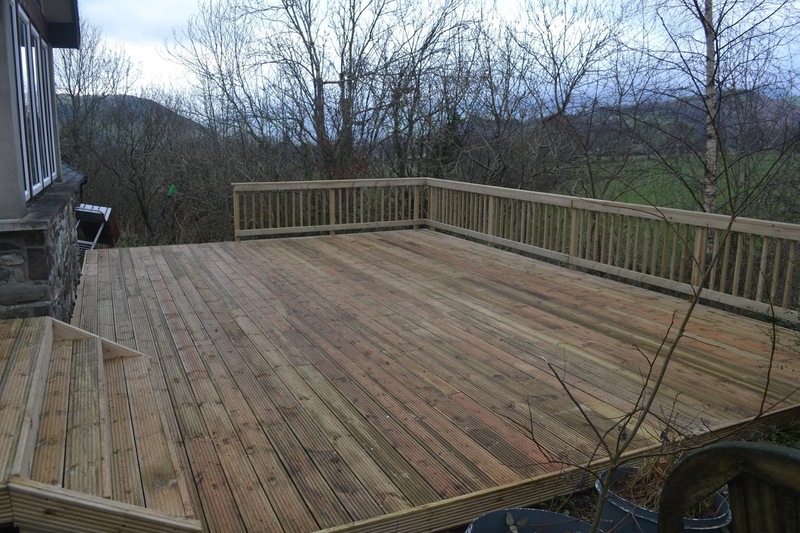 We've just finished out first timber deck of 2016, the sun is shinning in West Wales and now is the time to get your gardens ready, so that you can enjoy some outdoor living from spring onwards. Here's a couple of pictures of this lovely deck, built around the corner of this property to ensure the sun can be enjoyed throughout the day. No more loosing out on evening sun, just move around the deck to enjoy it all day. 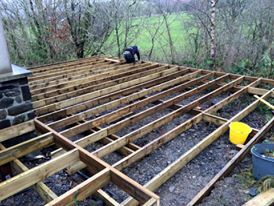 Ground cover was covered in gravel before framing out this good sized decking area. The sloping ground in front of this property had no real function, but this 70 square meter decked area provides a massive useable space for all of the family. 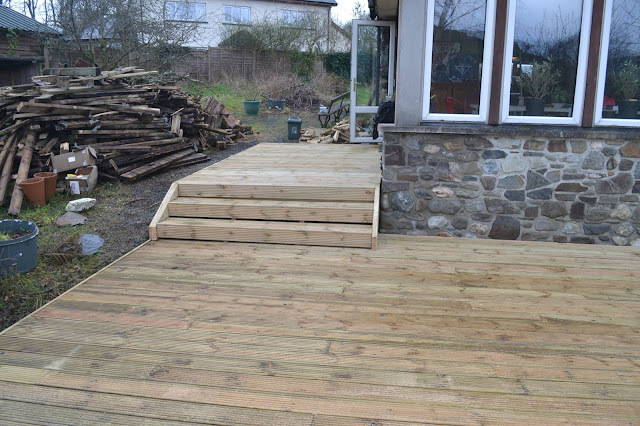 Step out of the back door and straight onto the decking area. This smaller area provides space to sit and enjoy the evening sun. More than enough room to enjoy views, entertain, play football or even ride a bike.